Get organized. Grow sales. Save time. 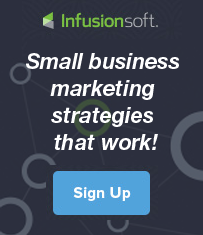 Discover how Infusionsoft’s sales and marketing software helps small businesses just like yours. Infusionsoft is the only sales and marketing software built exclusively for small business. Whether your storefront is online, on Main Street, or a service that’s on the go, Infusionsoft can help. Use Infusionsoft to map out each step of your sales and marketing strategy and automate repetitive tasks like follow-up. With Infusionsoft, you can nurture leads, scale personal relationships with customers, and so much more. Watch our quick product video to find out how. 30,000 small businesses are thriving with Infusionsoft.